The Global People's Summit leverages innovative technology to create the first-ever fully online summit that connects the world to the United Nations General Assembly to discuss solutions to the world’s most pressing challenges. 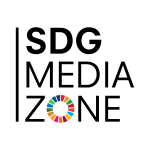 Organized by The Humanity Lab Foundation and the United Nations Office of Partnerships, the Global People’s Summit creates space for accessible conversations, innovative partnerships and inspiration to catalyze action for the Sustainable Development Goals, all around the world. We give all people a seat at the table to create the future we want. WISE@NY is an interactive forum, convening influential local and international thought leaders, decision makers and practitioners from diverse sectors to reimagine learning environments for empowerment and inclusion. Through a mix of formats and innovative sessions, delegates will explore best practices in education and the way forward. The Spirit of a Movement: an evening celebrating leaders of the past who have changed the world and leaders of today who are leading the way. Impact Hub New York City will be hosting the gathering in partnership with Impact Hub Kuala Lumpur, and the UN Foundation’s +SocialGood. There are more than 100 Impact Hubs around the world, representing more than 17,000 members - united by their mission to advance the SDGs through the power of entrepreneurship, innovation and collaboration. Together with +SocialGood, TEDx, Global People’s Summit and Global Shapers networks, the collective communities represent >1,000,000 individuals activating local communities of action around the world! Held annually during the United Nations General Assembly week, the Summit unites a lively community of global citizens and progressive thought leaders around a common theme: #2030NOW. A dynamic exploration of the world we want to live in by 2030, the Social Good Summit will focus on how we can unlock technology’s potential to make the world a better place. Let's kick-off the week of the UN General Assembly with a coalition of champions who are advancing the SDGs, celebrating the progress that has been made and inspiring more action by commemorating world-changing initiatives. An event uniting artists, advocates, experts, and activists to examine criminal justice and bail reform, focusing on the cost of incarceration in America. 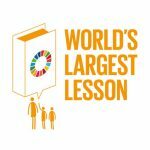 The World’s Largest Lesson’s mission is to introduce children and young people across the world to the UN’s 17 sustainable development goals through the power of education. 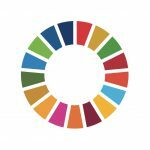 From September 24th onward, schools all over the world will be taking part, in an effort to teach The Global Goals to children and young people everywhere. In this first annual Climate and ESG Asset Owner Summit event, CFA Society New York (CFANY) is dedicating a full day to the rise and status of sustainable investing among asset owners, by featuring addresses and panel discussions led and informed by asset owner representatives covering five continents. These will focus on ESG trends and developments across North America, Latin America, Europe, Asia, and Africa, and offer regional perspectives, unique challenges and opportunities, and their outlooks. The Climate Week NYC 2018 Opening Ceremony will be the moment where we recognize what has been achieved over the last ten years and showcase how we can drive vital climate action commitments to 2020 and beyond. 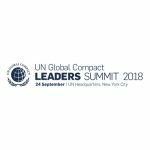 Taking place on September 24-25, 2018 at the Grand Hyatt New York, the 2018 Concordia Annual Summit is set to be the largest and most inclusive nonpartisan forum alongside the United Nations General Assembly. Bringing together decision-makers and opinion-formers in the public, private and nonprofit sectors, as well as the next generation of partnership-builders, the Annual Summit will advance critical global discussions and transform conversations into action. 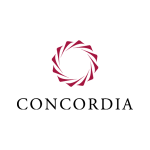 As our signature gathering, the 2018 Concordia Annual Summit will provide a powerful forum to catalyze action through shared value approaches and social impact objectives. The UN Global Compact Leaders Summit 2018 will bring an international community of leaders from business, investor groups, Government and civil society together at the United Nations for a collection of high-level engagement and networking opportunities designed to take stock of business progress towards the Global Goals, celebrate shared achievements and discuss the challenges and opportunities that lie ahead on our journey towards a more peaceful, just and prosperous world. The World Economic Forum's Sustainable Development Impact Summit aims to provide a truly global platform for bringing the best minds together to solve the world’s most pressing and complex problems. 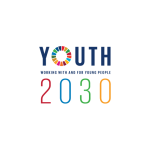 An event to launch the new United Nations Youth Strategy, called Youth 2030, developed with the aim to facilitate increased global, regional and country level action to address the needs, build agency and advance the rights of all young people. This event will also see the launch of Generation Unlimited, a new UN initiative to empower young people through education, employment and girls’ empowerment. This strategic meeting alongside the UNGA will discuss opportunities and challenges arising at the intersection of renewables and extractives, agriculture, and land use, as relate to the Sustainable Development Goals (SDGs). 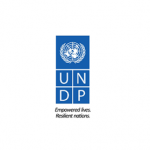 This includes questions of how the extractive industries and agricultural projects are affected by, and can contribute to, the deployment of renewable energy in line with the SDGs, as well as how those deploying renewable energy technologies can be sensitive to their impacts on sustainable development and human rights. Please join us for a unique family concert to celebrate the album release of Legion of Peace (songs inspired by Nobel laureates). 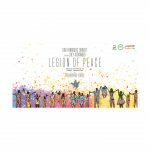 Featuring catchy and inspiring tunes that tell the stories of eight diverse Nobel Peace Prize Laureates, Legion of Peace is written and sung by GRAMMY®-nominated children's music artist Lori Henriques with honored guest, Nobel Peace Laureate Muhammad Yunus. 70% of carbon emission comes from cities in four main areas: Waste, Energy, Mobility and Buildings. How can citizen, Social Entrepreneurs, large corporations and policy makers collaborate to build solutions in those 4 areas and fight climate change? Aligning country visions and donor commitments to deliver SDG 2 and grow enough food to feed the world. Climate Week NYC 2018 is the time and place where the world, the US and NYC come together to showcase amazing climate action, and discuss how we do more. Featuring over 100 events throughout the week, Climate Week NYC is the moment to celebrate climate action by all organizations, companies, governments and more. For the first time ever, Climate Week NYC is going to include an exclusive, all day Hub for business, policy and government leaders. The Hub is designed for decision makers focused on positioning their organisations at the forefront of the clean energy transition. A series of events curated by The Climate Group showcasing how businesses are ‘stepping up’ to realize the Paris Agreement. Movement Makers Summit convenes the best minds in movement building to equip change-makers with tools to build movements that can achieve the Global Goals by 2030. 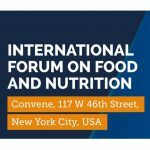 Convened alongside the UN General Assembly, this integrative panel discussion will focus on creating tangible interventions that will lead to transformative change for both people and the planet. With leaders from both public and private sectors, two curated panels will examine all aspects of U.N. Sustainable Development Goal #2-Zero Hunger, driving provocative conversations that identify healthy, affordable, and sustainable solutions at the nexus of hunger, climate, and food security. We welcome you to join us as we stretch the very fabric of SDG2. 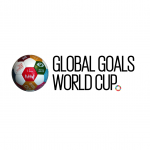 Women's five-a-side football World Cup & Girls Lounge for the UN Global Goals. We live in contentious times. Yet behind the dismaying headlines and social-media-fueled quarrels, people around the world -- millions of them, in fact -- are unrelentingly working on small and big problems, dreaming up new ways to expand the possible, building a better world. “We the Future” will share some of these stories. Visionary talks and bold analysis will mix with impact-oriented projects, cautionary tales, and strategies for building bridges and dialogue. The program will explore some of our world's most difficult collective challenges -- and the most exciting solutions emerging from every corner of the globe, that are making strides towards achieving the seventeen Sustainable Development Goals (SDGs) adopted at the UN in 2015. We'll mix in amazing live music and significant opportunities to meet and network. Presented by TED in collaboration with Skoll Foundation and UN Foundation. This is an invitation-only event. Achieving the SDGs requires an estimated additional investment and the pace of progress observed in previous years is insufficient to fully meet the SDGs by 2030. On the other hand, investing for SDGs is an agent of change and economic opportunity. 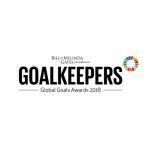 The Goalkeepers Global Goals Awards ceremony takes place on the evening of the September 25th, followed by the daytime Goalkeepers event on September 26th. The Awards night will be in partnership with the Bill and Melinda Gates Foundation and UNICEF and will celebrate outstanding youth-focussed work around the world that is directly linked to one of the 17 Global Goals. There will be three Award categories: The Progress Award, Changemaker Award and Campaign Award. 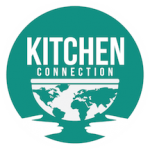 In honor of the UN General Assembly, in collaboration with the UN IFAD, The SDG 2 Advocacy Hub Presents a “Kitchen Connection x NYU Nutrition Without Borders” Cooking Challenge at New York University with surprise Award-Winning Chefs. Join the discussion with chefs and UN officials around Zero Hunger, and be part of our challenge: enjoy wine and cheese as you watch three teams battle to recreate the best recipe— who will win? On May 24, 2018, the Security Council unanimously endorsed Resolution 2417, which has paved the way for addressing conflict-induced hunger. In line with the Secretary-General’s call for scaled up and coherent efforts to sustain peace, a comprehensive response is needed to respond to situations of severe food insecurity, addressing both immediate needs and tackling the root causes of severe food insecurity. Co-hosted by the Netherlands, the United States, the European Union, Sweden, and the Rome-based UN food agencies: The Food and Agriculture Organization, the World Food Programme and the International Fund for Agricultural Development, this side event aims to examine ways in which Resolution 2417 can be operationalized and partnerships to achieve peace can be strengthened. 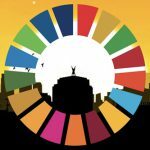 Each year on the 25 September anniversary of the adoption of the Global Goals, we challenge organizations and individuals around the world to come together to take actions to raise awareness, accountability and impact for the SDGs and to inspire more and more people to #Act4SDGs in their work, homes and civic lives. Tens of thousands of people take part in this mass mobilization through hundreds of SDG events on the same day in every corner of the globe. The second annual Bloomberg Global Business Forum will convene global CEOs and heads of state and government to discuss the importance of free trade and globalization, and ways to harness technological advancements to ensure shared prosperity. The second annual Goalkeepers will take place the 26th of September in New York City, proceeded by an awards ceremony on the evening of September 25th. Leaders from across the world are brought together to reflect on progress, focus on solutions, share knowledge and experience and to forge new partnerships for action. Goalkeepers has a particular focus on fostering the next generation– young leaders who can act, communicate and keep leaders accountable to deliver the Global Goals. On the morning of September 26, 2018, the Columbia Center on Sustainable Investment (CCSI) and the UN Sustainable Development Solutions Network (SDSN), under the guidance of Prof. Jeffrey Sachs, Special Advisor to the UN Secretary-General on the SDGs, and Laurent Fabius, President of the Constitutional Council of the French Republic, will host a conference to discuss the Global Pact for the Environment. 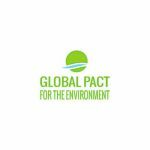 The Global Pact for the Environment aims to unify international environmental governance and codify a human right to the environment in international law. More information and registration via the link above. The International Conference on Sustainable Development (ICSD) provides a forum for academia, government, civil society, UN agencies, and the private sector to come together to share practical solutions to achieve the Sustainable Development Goals (SDGs). The event features keynote addresses from heads of state and leaders on sustainable development, as well as 300+ academic presentations. Achieving the Sustainable Development Goals will not only take breakthrough innovations and smart solutions, it also requires supportive ecosystems for real impact to reach scale. 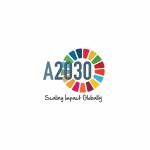 This timely discussion will bring together leaders from business, government, international organizations, and civil society, as well as selected high-impact entrepreneurs supported through the Accelerate2030 program, to delve into strategies for unlocking the power of entrepreneurship and stimulating economic growth for the SDGs through innovation taken to scale. Our event will be a in depth discussion between 4 panelists on the use cases and methodological processes towards fulfilling the SDGs using blockchain technology. Waynak (Where are you?) is the first short documentary that lets you discover and collaborate with social entrepreneurs in the Near East and Europe, currently developing short, middle and long term solutions to impact the Refugees ‘Crisis’. The documentary was selected at the Doc Corner of Cannes Festival in 2017. 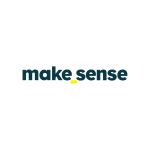 Makesense in partnership with Sing for Hope invites you to an exclusive and intimate screening of WAYNAK during the Global Goals Week in New York. The screening will be followed by a discussion with peace Nobel Laureate Professor Yunus. The artists who bring you Concert for a Sustainable Planet hope to raise awareness of the SDGs by fostering a dialogue and inspiring the audience to action. This concert will inspire hope, dedication, and commitment among groups of people worldwide to build a better planet together and foster positive change in society. The concert will build active connections between the performers on stage and the audience. This year’s Conference, taking place alongside the 73rd Session of the UN General Assembly in New York, will build on a multi-year effort to identify guiding principles and practical approaches for aligning international investment treaties with the SDGs. At the Conference, the Stockholm Chamber of Commerce will also honor the winner of its Treaty Lab contest to redesign international investment agreements to encourage foreign investment in climate mitigation and adaptation. SDGs Three Years In: Do We Know How We're Doing? This dynamic and interactive event will bring together thought leaders, advocates, and policymakers to take a fresh look at how we're doing on the SDGs as we look toward 2019, when world leaders will review progress, and 2020 when we will be a third of the way through the SDGs timeline. 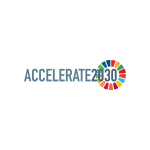 Join us for an inspiring and interactive reception and discussion featuring some of the world’s top innovators and entrepreneurs tackling the Sustainable Development Goals, and learn about the opportunities and challenges of driving impact at scale. Technological Disruption in the World of Inclusive Business, organized in partnership with the Inclusive Business Action Network (IBAN), will showcase practical applications of digital innovative technologies by inclusive business and set out supporting strategies to leverage their use to improve lives at the Base of the Economic Pyramid (BoP). The focus will be on impactful technology solutions with the ability to yield long-term benefits and help achieve the Sustainable Development Goals. The forum will also look at how businesses can use digital technologies to manage long-term risks and find opportunities to grow and develop their business while generating the social and environmental benefits that their customers, investors and the global community value. Business leaders will share their perspectives on how to leverage these disruptive technologies to promote sustainable development and help leave no one behind. P&G, #SeeHer, and Global Citizen are joining together with the brightest minds in policy, entertainment, and the private sector to share perspectives on gender equality. 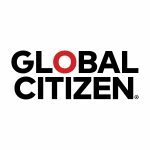 The Global Citizen Festival brings together top artists with world leaders to make commitments toward ending extreme poverty.